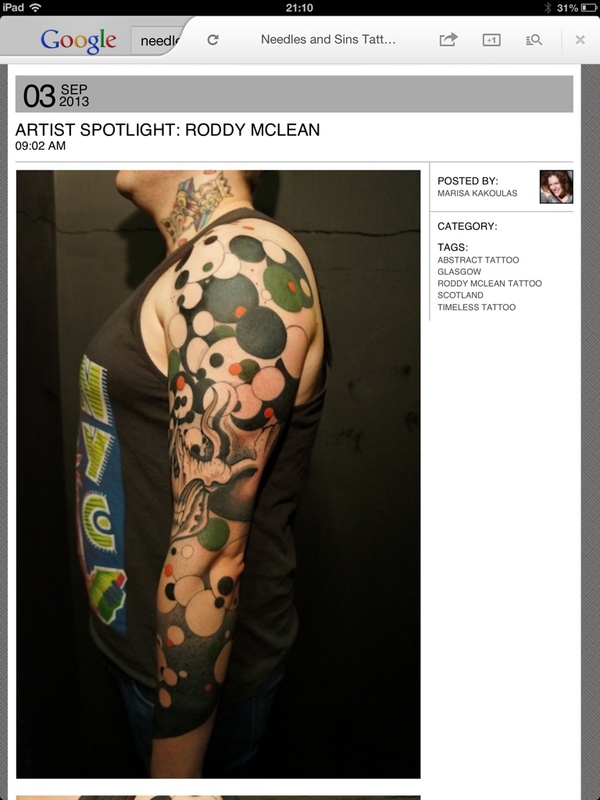 This entry was posted in glasgow, roddy mclean, tattoo glasgow timeless roddy mclean custom tattoos japanese traditional black n grey, tattoo sleeves and tagged glasgow tattoo, needles and sins, roddy mclean, scotland, tattoo shops in Glasgow, timeless tattoo. Bookmark the permalink. ← No more tattoos being taken on till Next year!!! !